Rumour: StarCraft II Legacy of the Void out in April? Some days you get stories that you look at and think “yeah, that’s not happening”, and other days it isn’t so clear cut. Looking at a rumor posted late last night, I was sure that I was reading a lot of misinformation seemingly straight out of Blizzard HQ. But looking at it again, it seems a lot of it could be true. Maybe. Ok, probably not. That includes a rumor about the final StarCrat II’s release date. A supposed insider from Blizzard has let the Zerg loose, spilling information about every game Blizzard is currently working on. Unsurprisingly, it seems that they’re ecstatic about the success of Hearthstone, and have a massive expansion lined up for the near future. The same can’t be said for Heroes of the Storm apparently, which Blizzard has little hope for. The insider expects most Senior staff to be laid off soon – despite the title not even being commercially out yet. The most interesting leaks, however, come from both StarCraft II and Diablo III. First off, there doesn’t seem to be any plans for another Diablo III expansion, despite the roaring success of Reaper of Souls. Instead, the team is working on a brand new game set in the StarCraft universe, which aims to take on free-to-play shooter Warframe. Is this the revival of StarCraft: Ghost? The insider says the members of the Diablo III team have been moved to a new project set in the Starcraft universe. The game will be similar to Warframe and contain gameplay aspects from Left4Dead, DayZ, Smite, and other MOBAs. It is in early pre-production, which means late 2016 or later. Along with the, the insider confidently states that the concluding StarCraft II title, legacy of the Void, is already wrapped up and finished. They expect the game to ship between April and June, which gives Blizzard very little time to market a title they’ve scarcely spoken about since reveal. It also falls into a period where the beta for the title was expected to take place, so it’s all a little confusing. 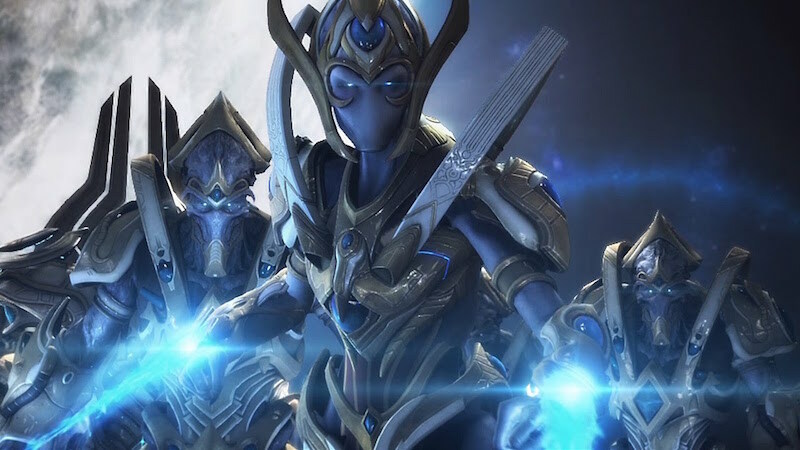 the next Starcraft 2 game is already done and ready to go. The release date is still not settled. The current time window ranges from April to June. Take all of this with a massive doses of salt, because it doesn’t take much nowadays to make information like this look completely legitimate. Legacy of the Void was announced ages ago, so it’s not wild to think that the game could be ready. I do, however, believe Activision-Blizzard would leave themselves a bigger gap for marketing – but nothing is stopping a June launch. As for a possible new game in the StarCraft universe, I’m actually quite excited about the idea. But with the recent reveal of Overwatch and all the time going into Legacy of the Void, Hearthstone and Heroes of the Storm, I’m not entirely sure where Blizzard would find more people to start up a new project. It could all still be fairly early production, so again I wouldn’t completely rule it out. What are your thoughts though? Do you think Blizzard has given up on some of its games already and are cashing in early? Could Legacy of the Void be out far earlier than expected?